While the LCV segment is still in the doldrums, the medium and heavy vehicles (MHCV) segment have come past the slump that the industry was facing for the past three years. We see major brands in the segment registering double-digit profits for last couple of months including Jan 2015, partly owing to fleet renewals by large operators across the nation and low fuel prices. That way, Volvo Eicher Commercial Vehicles (VECV) feels gifted as the new company is at the right time with competent model line-up, the Eicher Pro 6000 and 8000 series, to grow up as a key player in the segment. new truck makers and models appearing the scene in recent years. 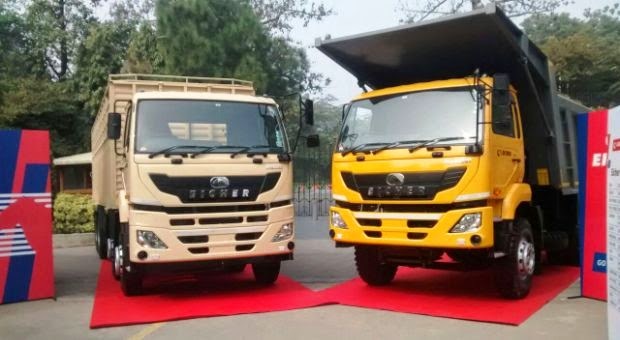 Global players like Volvo Trucks, Daimler CVs, and Scania are the notable new entrants, while domestic brands such as Tata, Ashok Leyland and Mahindra have renewed their turfs with new-generation vehicles. 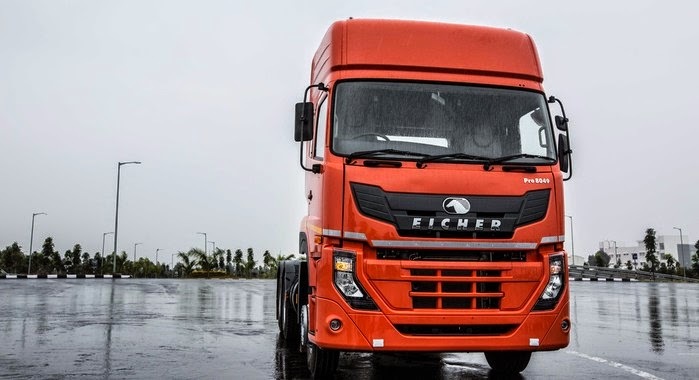 Volvo Eicher Commercial Vehicles (VECV), a 50:50 joint venture between Volvo Group and Eicher Motors, came up with its new product range “Eicher Pro Series” comprising 11 new products in 2013. They were previewed at the Delhi Auto Expo last year, and was followed by the rollout of the Pro 1000 (5-14 T GVW) and 3000 series (9-14 T GVW) the same year. Last month, VECV launched the Pro 6000 series truck models that includes Pro 6031 (31T GVW 8X2), Pro 6025 (25T GVW 6×2) haulage trucks and Pro 6025T (25T GVW 6X4) tipper. These trucks benefit from new chassis assembly and cabin trim lines, new axle and transmission assembly, new end of line vehicle testing and a modern parts warehouse. They are designed to cater various needs of market across haulage, distribution, construction, industrial loads, courier and perishables. The Eicher Pro 6000 Series trucks are powered by VEDX5 and VEDX8 engines, designed in collaboration with the Volvo G roup. These drivelines areEuro-VI compliant and are also exported back to Europe from company’s new engine plant at Pitampura. The VEDX5 is a four-cylinder engine capable of producing 210 bhp at 2,200 rpm and 825 Nm of torque between 1,200 to 1,600 rpm. A 6-speed manual gearbox with hydraulically actuated clutch transfers powers to the wheels. Volvo Group’s new generation Engine Management System (EMS 3.0) ensures that the engines are fuel-efficient. 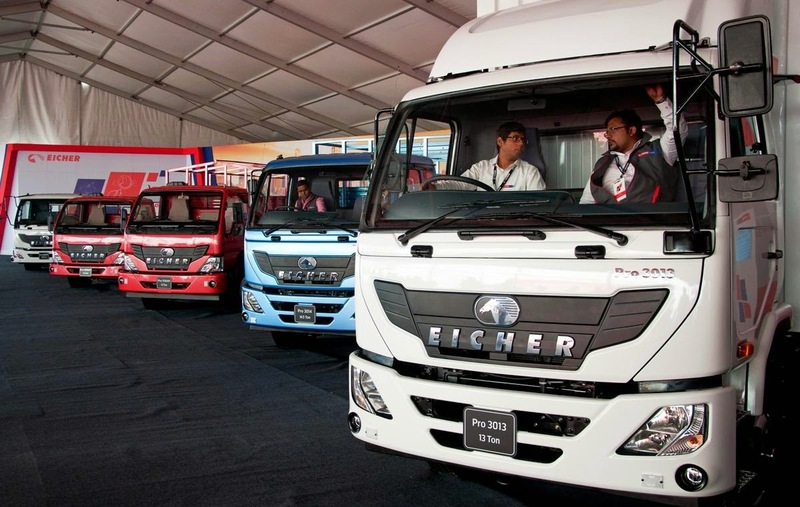 The Pro 6000 Series comes fairly equipped than any other earlier Eicher models with telematics (Eicher Live), fuel coaching, and cruise control. The cabin is a leap forward in terms of ergonomics and design layouts – they look modern and fairly comfortable. The advanced on-board diagnostic system does proactive maintenance and indicates faults to the driver through visual displays, messages and alarms. This driver info system is launched for the first time in the Pro 6000 series. The company has already started trials for its flagship Pro 8000 series trucks with select customers and is expected to hit the market by this year. The Pro 8000 is the premium heavy trucks and tippers with a Gross Vehicle Weight (GVW) of 49 tonnes. It is likely to come with a new 6-cylinder engine either with displacement of 5 litres or 7.7 litres, churning out 180 to 280 bhp. The 7.7 litre has a torque rating of 1190 Nm. Air Conditioning is to a standard feature in 8000, along with of host of other techs such as GPS, ABS, etc. The VECV has invested around Rs. 2,300 crores in India, with prime focus on the domestic market and exports. The partnership with Volvo enables Eicher Motors to access new technologies, which can work well with Eicher’s frugal cost management and marketing strategies. Eicher Motors has a superior dealer network across the country and is a prime player in the low-cost medium carrier segment. With the new Pro 6000 and 8000 series, the company aims to cash new fortunes in the CV industry. Next, would you like to read more on Eicher, Mining Tippers, Trucks, or Commercial Vehicles ? ?